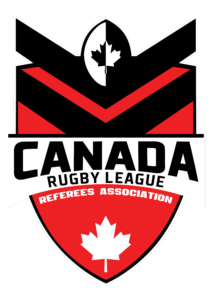 The purpose of the Canadian Rugby League Referees Association is to administer the laws relating to Rugby League football, to take such action as may be deemed necessary to achieve uniformity in interpretation of such laws and to promote and develop the game of Rugby League. The Referees Association is dedicated to fair play, safety, goodwill and the overall betterment of the sport. In the interests of players and spectators the Referees Association actively pursues opportunities to improve and education those undertaking officiating duties. Below is a manual of rules as well as forms and reports relevant to game day officiating duties.